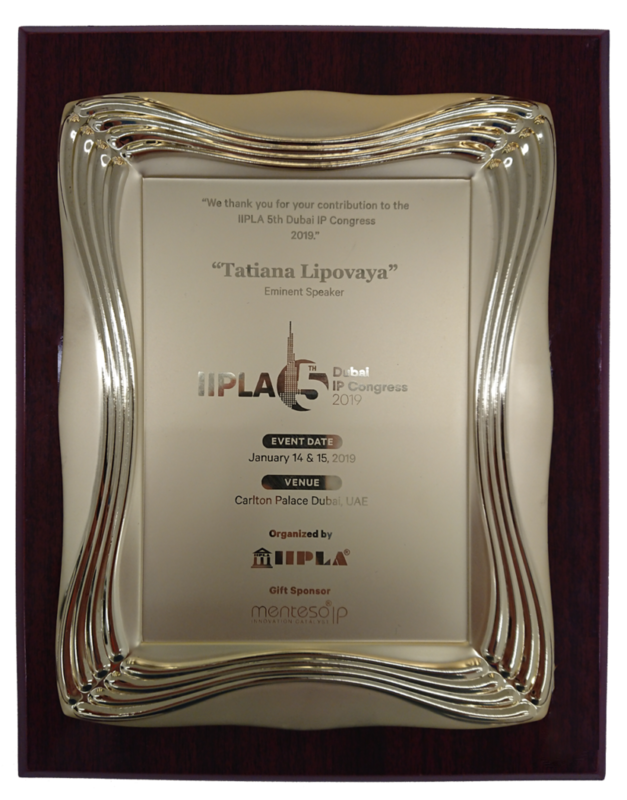 IPR GROUP Attorneys attended the 5ᵗʰ IP Congress in Dubai on the invitation of the IIPLA. The event took place from the 14-15 of January, 2019. 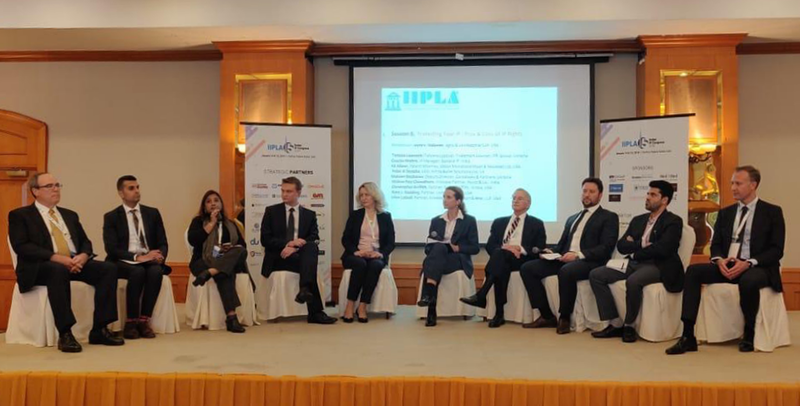 The IIPLA serves as a highly informative platform, bringing together Patent and Trademark Attorneys to exchange experiences and discuss growing trends in the field of Intellectual Property Protection across the globe. Through this congress, IP Attorneys and in-house counsels from around the world, also converge to share valuable industry related information amongst each other. 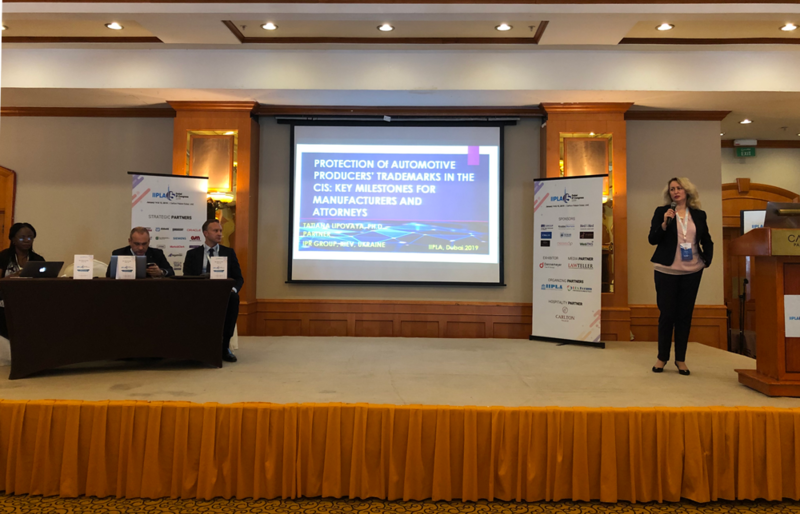 IPR Group’s representative – Dr. Tatiana Lipovaya, Head of Licensing Department and Trademark Counsel, was invited to speak at the Congress, and she shed light on the practical aspects of registration and examination of trademarks of the automotive industry. Our experience in the representation of world known automotive manufacturers, as well as peculiarities of the cases handled in the CIS, piqued the interest of participants and raised a lot of pertinent questions. Afterwards, Dr. Lipovaya was also invited to partake in the closing Round Table Discussion on “Protecting your IP: Pros & Cons of IP Rights”, and during the final discussion, she made some contributory points on aspects of IP in the EU-Ukraine Association Agreement. We will like to thank all the organizers for the invitation and for their constant support during the Congress.